View More In Desktops - Page 2. Trivalley Electronics sells computers with upgraded configurations. If the computer has modifications (listed above), then the manufacturer box is opened for it to be tested and inspected and to install the upgrades to achieve the specifications as advertised. If no modifications are listed, the item is unopened and untested. Defects & blemishes are significantly reduced by our in depth inspection & testing. Creation. Gaming. Bring it on. 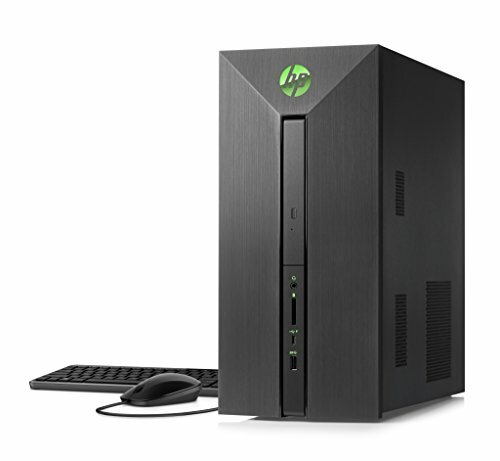 This HP Pavilion Power Desktop tower features the latest quad-core Intel Core i5-7400 processor and NVIDIA GeForce GTX 1060 graphics card with 3 GB GDDR5 dedicated memory. The NVIDIA GeForce GTX 1060 graphics card is loaded with innovative new gaming technologies and the groundbreaking NVIDIA Pascal architecture, making it the perfect choice for the latest high-definition games.